If you want to own a small business, but you don’t want to be completely by yourself, buying a franchise is the safest investment for new entrepreneurs. Being part of a larger enterprise gives you access to the rulebook of an enterprise that is already working successfully. You have the advantage of direct support from the franchiser, which is essential especially if you are new to the industry. One of the most important advantages of buying a franchise is the notoriety of its brand. 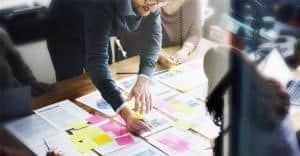 Most businesses of this kind have established a solid reputation in their respective industries, and are well-known by both collaborators and customers. Therefore, you will not have to spend time or money to raise brand awareness. 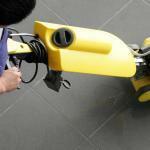 If you choose to start your own cleaning franchise business, you cannot go wrong with a well-known name in the industry like Jantize. By opting for a franchise unit you get to develop your enterprise under the sheltering umbrella of an attractive brand that stands for high standard, professional cleaning services. New entrepreneurs commonly hit every bump in the road when they take charge of a startup. As the owner of a franchise unit, you benefit from proven corporate processes and support from your peer franchisors. While they give you full control over your enterprise, you also receive training, marketing guidelines, consultancy, and even financing. When you take the reins of a Jantize franchise unit you benefit from having management experts that help you grow fast and strong. 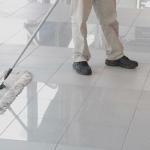 Additionally, you get support in every area concerning your janitorial business, to ensure your long-term success. As a new entrepreneur, you can count on a franchise business to learn more about financial management and how to run a startup successfully. You don’t need experience in this field to operate a franchise unit since these enterprises usually have a higher rate of profit than small businesses. Buying a Jantize franchise unit opens the door to a crucial learning journey for your managerial career. With the help of an experienced corporate staff and a system that is already running well, you get to focus on improving your business skills and making the best out of this revealing experience. Many franchisers offer attractive startup packages to new entrepreneurs who are willing to operate under their brand. From financial support to logistics to consultancy, you benefit from the necessary factors to reach your potential. As a Jantize franchise owner you have access to proprietary software for managing a janitorial business, so you don’t have to invest in new software yourself. Additionally, you get bimonthly payments (on the 15th and 30th of every month) and the lowest startup costs of the cleaning franchise industry to set sail smoothly in your new business endeavor.